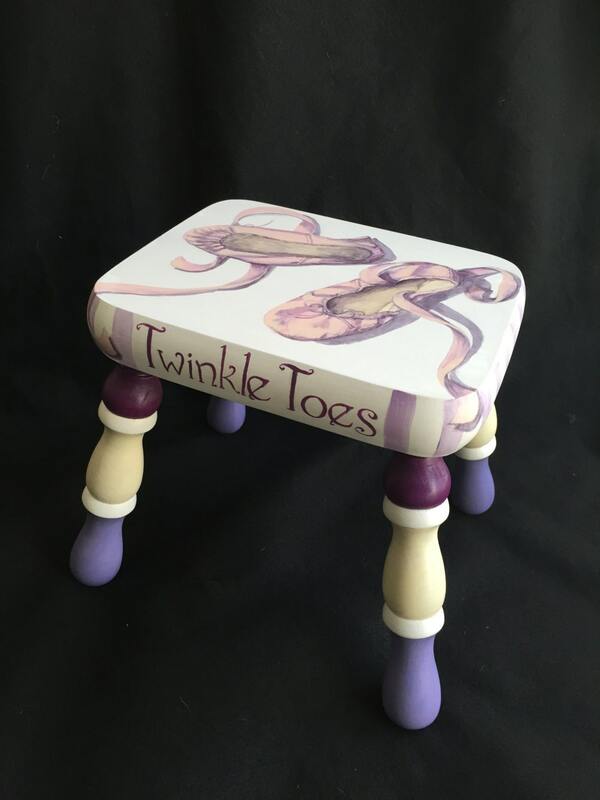 Whether she points her toes or not, this footstool will give your tiny dancer just the boost she needs! 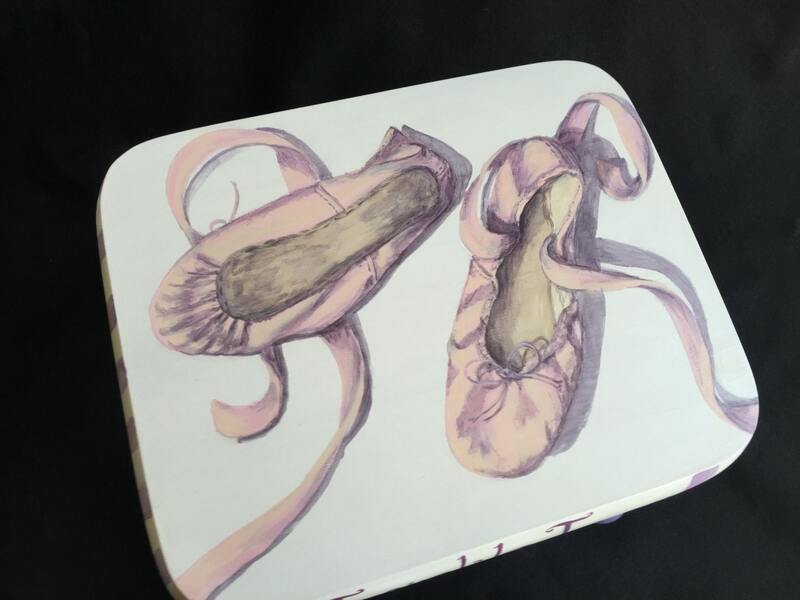 The lovely color scheme of white, ivory, amethyst, and lavender provide the perfect backdrop for a pair of pink ballet slippers--tossed there after a long session at the barre, most likely! 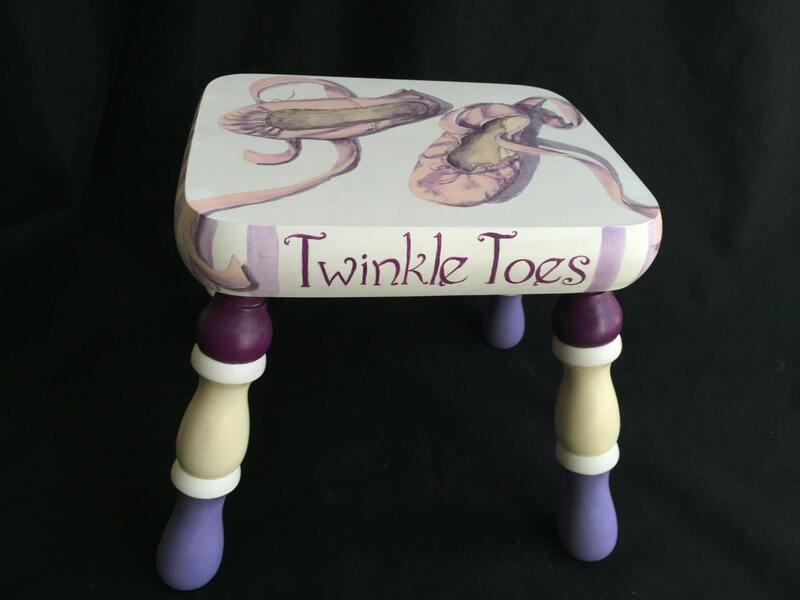 The slippers' ribbons curl over the edge of the stool, where soft purple stripes dance around the sides, with the hand-lettered phrase "Twinkle Toes" to complete the staging. 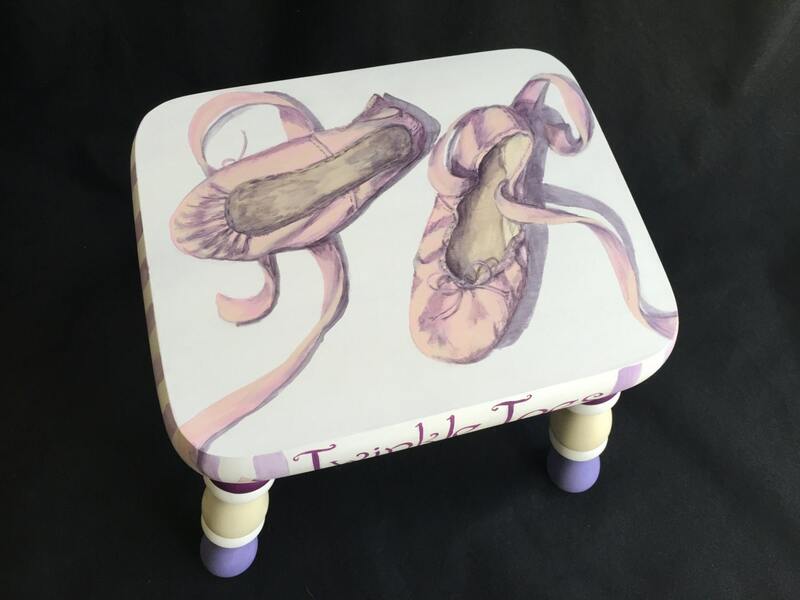 Ask about having one personalized with YOUR dancer's name on the front! 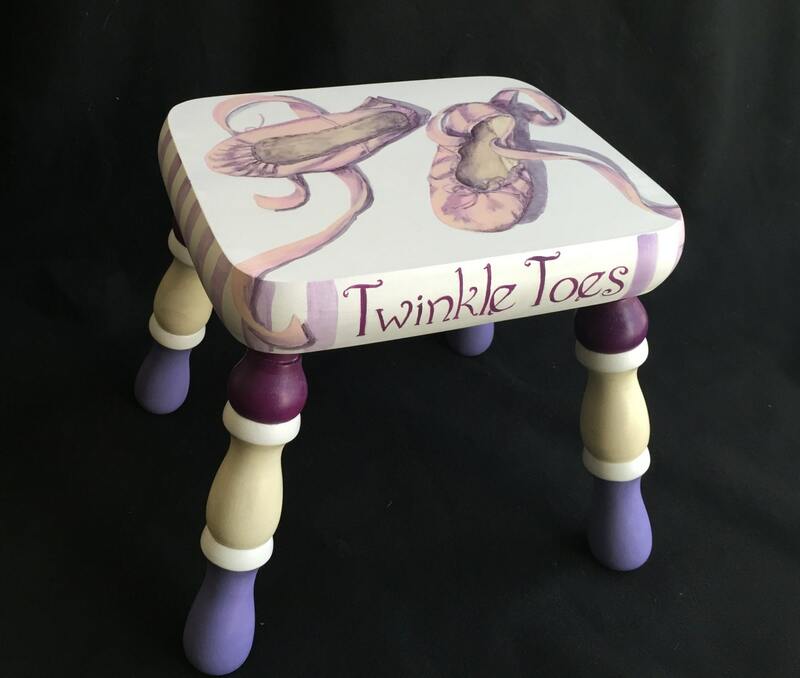 As always, this sturdy stool is made of solid alder wood, with a glossy coat of non-toxic sealer, so clean up is as easy as a wipe with a damp cloth. Dimensions are 13 5/8” (width), 10 5/8” (height), 11 5/8” (depth). Each piece is signed and numbered for authenticity.